4. We have seen CCTV footage, timed at 11.58am, of the two suspects walking along Wilton Road in an opposite direction to Salisbury Cathedral (which they claim to have come to Salisbury to visit), and in the direction of the Skripals house. 5. The football World Cup was held in Russia this summer for the first time. There was an anti-Russian neocon campaign in the west to undermine the event, calling for boycotts and fans not to travel there. 6. On Tuesday 6th March, two days after the Skripals were taken ill, arch-Putin critics Bill Browder and Ed Lucas were due to address British Parliamentarians on 'fake news'. They were expected to make the case for tougher measures to be taken against Russia and Russian media. 7. Anatoliy Chepiga has not, as yet, come forward to identify himself as being a different person from Ruslan Boshirov. 8. Detective Sergeant Nick Bailey, who was one of the first on the scene at the bench and who subsequently became ill, has not been interviewed by any news media, since being released from the hospital on 22nd March. 9. The weather in and around Salisbury on the weekend of 2-4th March was inclement. It included heavy snow, strong winds, and freezing rain. There were significant transport disruptions in southern England. 10. The UK authorities believe that nerve agent novichok was sprayed by the two suspects on the Skripals front door knob at around noon on 4th March. 11. The two suspects were captured on CCTV exiting Salisbury railway station at 11.48am and then entering the station at 1.50pm, just over two hours later. 12. We have seen no evidence that the Skripals returned home having been seen on CCTV at around 9.15am out in their car in Salisbury. 13. The suspects have not been charged in connection with the death of Dawn Sturgess, who were are, told died from novichok poisoning having used perfume from a bottle discarded by the two men in a skip and given to her by her partner. 14. In a letter to The Times on 14th March, Dr. Stephen Davies, Consultant in Emergency Medicine at the Salisbury NHS Foundation Trust wrote: 'May I clarify that no patients have experienced symptoms of nerve agent poisoning in Salisbury and there have only ever been three patients with significant poisoning…No member of the public has been contaminated by the agent involved'. 15. Eyewitness Freya Church, who saw the Skripals in on the bench, told the BBC: 'He was doing some strange hand movements, looking up to the sky….They looked like they had been taking something quite strong'. Have a think about those fifteen pieces of factual information for a moment. What conclusions do you draw from them? 1. Ruslan Boshirov and Alexander Petrov were in Salisbury for a reason which they did not want to disclose in their television interview on RT. It is looking increasingly likely that both men were Russian intelligence officers. Fact 7, suggests that Boshirov is Chepiga. If not, why hasn't Chepiga come forward? 2. 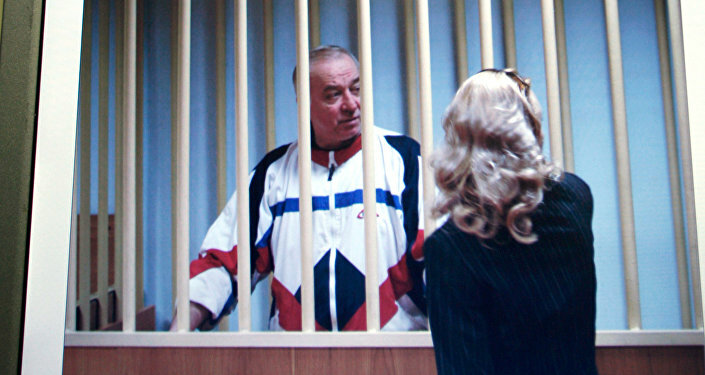 The absence of any interviews with, or statements from, Sergei Skripal indicates that he does not believe the UK government narrative that the Russian state was behind his poisoning. Last week, it was revealed that Skripal was indeed reluctant to believe that Russia was responsible. But surely Skripal would have a good idea of who did the act? If 'Chepiga' and 'Mishkin' had done the poisoning, and Skripal and his daughter had met them that fateful Sunday, why isn't he saying so, in a video address? 3. The fact that the World Cup was due to be held in Russia and that Browder and Lucas were to address Parliament that very week (and this was publicized in advance on social media), makes it most unlikely that the Russian state would authorize the assassination of Sergei Skripal on the weekend of 2-4th March 2018 UNLESS Skripal was about to do something very soon to endanger Russian security. But what could that be, considering he hadn't been in Russia for many years and was not privy to any new secrets? If 'revenge' against a former spy who had betrayed his country had been the motive, then the operation would surely have been done before or at least postponed until after the World Cup. In fact, from a Kremlin perspective, there could not have been a worse weekend to carry out the operation, especially if we take into account the wintry weather which would make getting to Salisbury problematic- and smearing a doorknob with novichok as an assassination technique unlikely to be fully effective because of the precipitation. 4. The absence of CCTV footage of the suspects approaching the Skripals' house or doing anything suspicious in Salisbury (apart from walking in the wrong direction from the cathedral), suggests that such footage does not exist. If it does, why hasn't it been shown? 5. The lack of evidence to show that the Skripals returned home after leaving their house before 9.15 am suggests that novichok was not placed on the front door knob and that they were poisoned elsewhere. If the Skripals had returned home, then poisoning their doorknob in broad daylight would have been extraordinarily risky- but if they didn't go back, how were they affected by a sprayed doorknob? Novichok is supposed to be fast acting and lethal, so the likeliest places they were poisoned were either in the pub, the restaurant (with someone possibly dropping poison into their food or drink, as security expert Will Geddes suggested in this report, or on the bench itself. The restaurant seems more likely as an eyewitness told the BBC that Sergei Skripal had been behaving strangely there. 'He started screaming. He just didn't look right'. Some have said this is because he may have spotted Borishov and Petrov through a window. But how could he, if the pair had already entered Salisbury station to make their journey back to London at 1.50pm? The Skripals entered the restaurant after 2.20pm. So where do these conclusions lead us, in regards to solving the mystery? The 'official' explanation of the UK government is that the two suspects were Russian hitmen who came to Salisbury to assassinate Skripal but who botched their assignment because for some reason they didn't use a strong enough dose/and/or the excellence/quickness of the emergency services and Salisbury hospital. But if men were the poisoners, why the lack of CCTV footage of them approaching the Skripals house- and why did they carry out their operation on the weekend of 2nd-4th March? If Russian culpability was so obvious, why have the UK authorities sought to censor, via two DSMA notices, MSM reporting of the case? The timing suggests that if the men were indeed Russian agents, their mission did not have high-level Kremlin approval, as claimed. Could they then have been part of a group within Russian intelligence who were fed up with western 'bear-baiting', and who actually wanted relations between Russia and the west to deteriorate further in order to bring matters to a head? Or might they even be double agents, actually working for the west? If they were an assassination squad out to smear a doorknob with novichok, then why did they come to Salisbury twice in broad daylight and not at night? Why did they come together, and arrive in Salisbury so openly, on public transport? Two possible inferences are (a) the men were bungling Mr. Bean-style incompetents- which doesn't tally with Chepiga being a highly decorated colonel in military intelligence, or (b) they didn't mind being found out, and actually wanted to be. If that sounds plausible, here's another explanation which ticks all the boxes. The two suspects were indeed Russian military intelligence operatives. Bellingcat, for all the concerns we have about founder Elliot Higgins' links to The Atlantic Council, are actually right about this. But the two men didn't travel to Salisbury to kill Skripal but to meet with him, negotiate with him, or conduct some kind of business with him. The Skripals weren't poisoned via their front doorknob, but in the pub or restaurant or on the bench itself- at a time when the two suspects had already left Salisbury. The reason we haven't seen the CCTV footage is that it does not incriminate 'Boshirov' and 'Petrov'. Novichok didn't kill the Skripals because novichok wasn't used. The aim was to simulate a novichok attack, as a provocation to blame Russia by a geopolitical adversary, but not to kill the Skripals. Those behind the provocation knew that two Russian agents were in town that weekend to do business with Skripal so it was perfect timing. The Skripals were poisoned with the synthetic drug fentanyl (or fentanyl mixed with small traces of novichok). Remember, fentanyl poisoning is what the hospital originally treated them for, before the government's own laboratory at nearby Porton Down said it was novichok on 7th March. Read again the words of Dr. Stephen Davies- and also bear in mind what eyewitness Freya Church said: 'They looked like they had been taking something quite strong'. As for small traces of novichok being found in the suspects' hotel room on 4th May, this could indeed have been left by them, but it also could quite easily have been planted later on by an intelligence operative of a power hostile to Russia, staying in the room as a 'guest', before the police went there. Of course, this is only a theory, and it could be wrong, but it is one that is consistent with the facts as we currently know them. It would explain why we haven't heard from Sergei Skripal. It would explain the DSMA Notices and the fact that Dt Sgt Nick Bailey- who surely has a lot to tell about what happened on 4th March, has not been interviewed. It would explain the fact that we haven't seen more CCTV footage. It would also explain why Russia has had to deny the two named suspects were agents because if they admitted they were agents and in Salisbury on the day of the poisoning, but had nothing to do with it, no one would believe them. Lovers of detective fiction- and indeed those who follow real-life crime stories will know that there have been lots of examples of 'suspicious' characters who happened to be near a crime scene and were there for a reason which they did not want to reveal —but who did not actually carry out the crime. Seven months on, it still remains up to those accusing the Kremlin to prove their case.